Elephant Sport » Coconut oil – a natural performance enhancer? 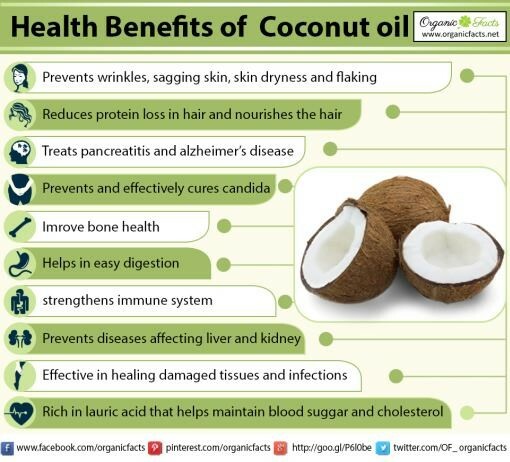 Coconut oil – a natural performance enhancer? In the worlds of professional sports and fitness, people are always looking for anything that will place them ahead of the game. Whether it is a new supplement, or simply an advanced specific workout, if it gives you an edge, there will always be those willing to try it. With the prohibited list of banned substances constantly growing, athletes welcome with open arms any natural product that might bestow an advantage. This is why there’s such a buzz about coconut oil. An increasing number of diet and fitness experts are extolling its virtues. Water, fibre and proteins are removed from the flesh of the coconut to obtain the oil.They are all made from the meat (white flesh) of a mature coconut (10-12 months after the flower begins to form a seed). All coconut oil, once these constituents are removed, is stable at room temperature. This oil is more stable than any other oil because it is predominantly composed of medium-chain fatty acids which are ‘saturated’ by hydrogen atoms and resist oxidation. The key factors affecting the stability, taste, quality and price of coconut oil are dependent on how well the proteins, fibre and water are removed and the methods used to remove them. 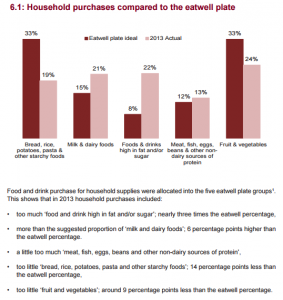 An enormous amount of people are uneducated about the products they consume on daily basis. The problem with obesity is nothing new, because the population tend to eat what they like instead of what they need to absorb. The figure above means more than a thousand words and thoroughly links with the topic of coconut oil. We can’t be disappointed about the fact people use normal cooking oil, rather than coconut oil if the household purchases compared to the eatwell plate are at such low standard. Patrycja Jakubiak from the Department of Food Science at the University of Warmia and Mazury in Poland told Elephant Sport: “The coconut palm is called the ‘tree of a thousand uses’ and extracted oil is considered the healthiest in the world. “Coconut oil is used for the prevention of diseases such as atherosclerosis, hypertension, cardiovascular and degenerative diseases. Conducive to maintaining a healthy weight and promotes weight loss. “It is also recommended for pregnant women, breastfeeding and children in order to improve the absorption and maintain the body’s calcium along with magnesium as it has a positive effect on bones. and competition periods, athletes burn a large number of calories that must be replaced. Additionally, athletes looking to gain muscle mass or move up a weight class also need more calorie-dense foods. To get 117 calories from low-fat foods like fruit, pasta or rice cakes would require eating a much larger volume of food, which could cause bloating and discomfort. The fat in raw coconut oil is mainly saturated, but it’s a different type of saturated fat than the kind you get in animal products like red meat and butter. The saturated fats in coconut oil — known as medium-chain triglycerides — are absorbed by the liver, meaning they act more like a carbohydrate in terms of supplying energy, notes sports nutritionist Matt Lovell. 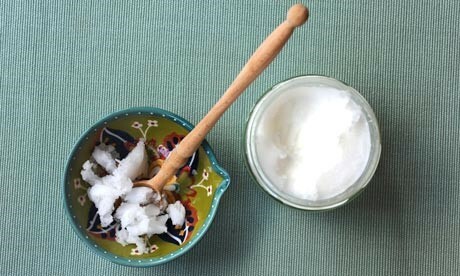 There’s no doubt about the fact coconut oil made quite an impact over the past few years. 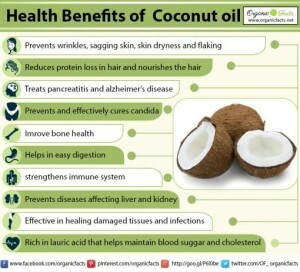 The massive availability of different kind of oil products only proves the point about the effectiveness of coconut oil. Healthy diets are designed for everyone who wishes to change their life for the better and become a part of a lifestyle that is literally delicious!